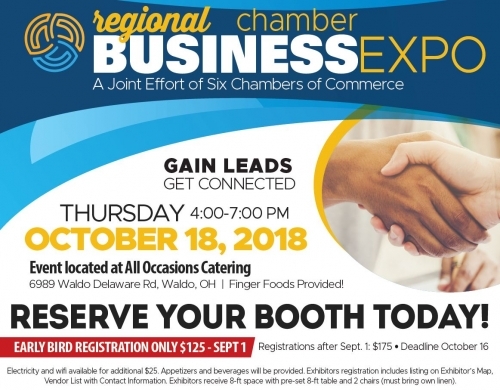 Regional Business Expo 2018 Exhibitors, complete and submit this form with credit card payment (via Paypal). Registration will not be finalized until payment is received. Registration deadline is Monday, October 16. Call Tyler at the Bucyrus Area Chamber of Commerce at 419-562-4811 with any questions. *Please note, exhibitors are responsible for bringing their own extension cords and power strips. Host is not responsible for any power failure or insufficient power source.